About the Firm | Howie Law P.C. 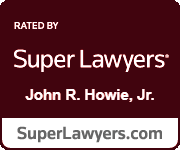 Howie Law, PC is a personal injury law firm dedicated to the representation of victims and their families who have been injured or killed by someone else’s negligence. 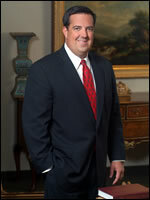 When a tragedy occurs, it takes an experienced and aggressive law firm like Howie Law, PC to obtain just compensation. Many law firms will accept your case with the sole intent to settle it for less than full value and make a quick buck. At Howie Law, PC it is the firm’s policy to fully develop and prepare each case to be tried to a jury or a judge. That is the only way to maximize recovery for a client. During this decade, the state of Texas has seen tort reform like never before. Insurance companies and other special interest groups have engaged in a concerted effort to strangle the rights of those who have been injured or killed. Once a place for victims to seek compensation for their injuries, the courthouses are now slamming the doors on those who have been injured or killed. This erosion of the right to a trial by jury has had a dramatic effect on the litigation environment in Texas and resulted in a reduction in the number of lawsuits being filed. The impact of this reduction in filings has affected law firms and attorneys across the state. Now more than ever, law firms and attorneys who have never before handled personal injury lawsuits are taking these cases despite the fact that they do not have the knowledge, skills, experience, or resources to properly handle them. If a case is not properly developed, it will not demand full value. An attorney recently stated “you know how it is . . . you take the cases in and, if you cannot get them settled, then you start working on them”. At Howie Law, PC, this is not “how it is”. At Howie Law, PC the policy that is applied equally to every case is to fully develop the case and prepare it for trial. By properly developing and preparing the case, the client will ultimately achieve success.